The Global Volcanism Program has no activity reports for Fremrinámar. The Global Volcanism Program has no Weekly Reports available for Fremrinámar. The Global Volcanism Program has no Bulletin Reports available for Fremrinámar. Fremrinamar central volcano, NNE of Askja and SE of Myvatn lake, is a volcanic system that is being constructed over the basaltic Ketildyngja shield volcano. Associated fissure systems, including the Sveinar fissure, extend 130 km to the northern coast of Iceland. The Kerlingardyngja shield volcano to the south is also part of the this volcanic system and formed about 6000 years ago. Iceland's renowned Myvatn lake formed as a result of the eruption of the massive 70-km-long older Laxarhraun lava flow from Ketildyngja shield volcano about 3800 years ago. 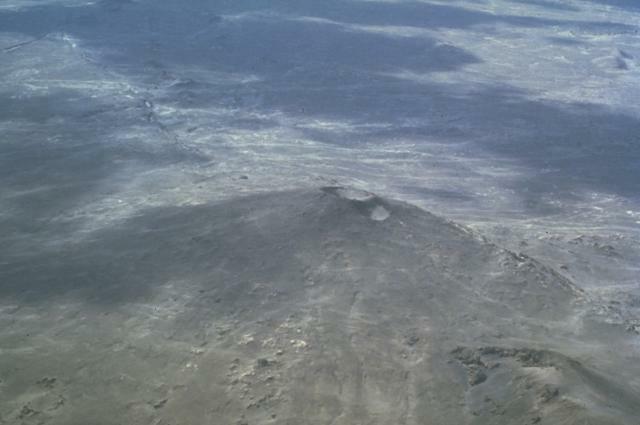 The latest eruption produced the Burfellshraun lava flow about 2500-3000 years ago. Gudmundsson A, Backstrom K, 1991. Structure and development of the Sveinagja graben, northeast Iceland. Tectonophysics, 200: 111-125. There is no Deformation History data available for Fremrinámar. There is no Emissions History data available for Fremrinámar. 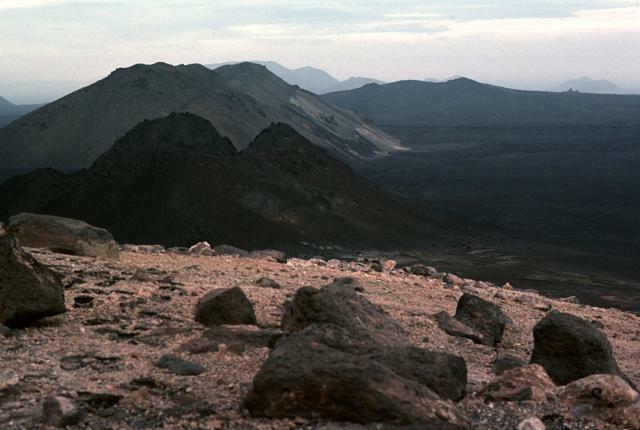 Fremrinamur central volcano, NNE of Askja and SE of Myvatn lake, is a volcanic system that is being constructed over the Ketildyngja shield volcano (center). Associated fissure systems, including the Sveinar fissure, extend 130 km to the northern coast of Iceland. Iceland's renowned Myvatn lake formed as a result of the eruption of the massive 70-km-long older Laxarhraun lava flow from Ketildyngja shield volcano about 3800 years ago. 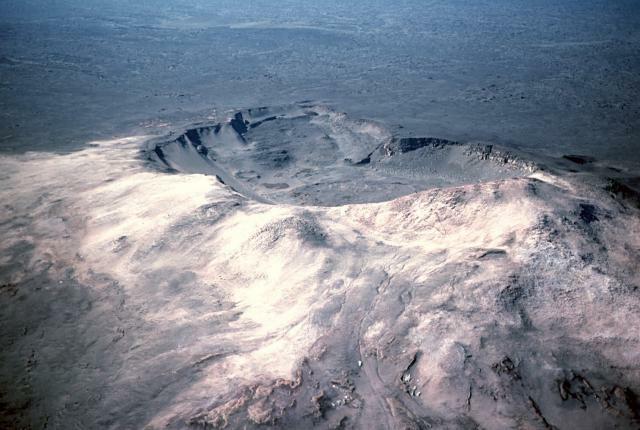 The latest eruption from Fremrinamur produced the Burfellshraun lava flow about 2500-3000 years ago. Ketildyngja shield volcano, the most prominent feature of the Fremrinamur volcanic system, contains a steep-walled summit crater. Associated fissure systems, including the Sveinar fissure, extend 130 km to the northern coast of Iceland. Ketildyngja was the source of a massive 70-km-long lava flow about 3800 years ago that was responsible for the formation of Iceland's renowned Myvatn lake. The eastern rim of the summit crater of Ketildyngja shield volcano overlooks flat-lying lavas of the Fremrinamur volcanic system on the right and steep-sloped Pleistocene subglacial lavas on the left. The Fremrinamur fissure system extends 130 km north of Ketildyngja to the northern coast of Iceland. The Global Volcanism Program has no maps available for Fremrinámar. There are no samples for Fremrinámar in the Smithsonian's NMNH Department of Mineral Sciences Rock and Ore collection. Catalogue of Icelandic Volcanoes (Link to Fremrinámar) The Catalogue of Icelandic Volcanoes is an interactive, web-based tool, containing information on volcanic systems that belong to the active volcanic zones of Iceland. It is a collaboration of the Icelandic Meteorological Office (the state volcano observatory), the Institute of Earth Sciences at the University of Iceland, and the Civil Protection Department of the National Commissioner of the Iceland Police, with contributions from a large number of specialists in Iceland and elsewhere. This official publication is intended to serve as an accurate and up-to-date source of information about active volcanoes in Iceland and their characteristics. The Catalogue forms a part of an integrated volcanic risk assessment project in Iceland GOSVÁ (commenced in 2012), as well as being part of the effort of FUTUREVOLC (2012-2016) on establishing an Icelandic volcano supersite. Large Eruptions of Fremrinámar Information about large Quaternary eruptions (VEI >= 4) is cataloged in the Large Magnitude Explosive Volcanic Eruptions (LaMEVE) database of the Volcano Global Risk Identification and Analysis Project (VOGRIPA).